(In the above audio clip, I read the text that falls below. If you choose to listen instead of read, please scroll down for more info and images). We give ourselves the permission to feel and explore our passion so that we can create from it deeply. We give ourselves the gift of presence so that we can trust our impulses to express deeply. And, we devote ourselves ... to ourselves. Fully. Can you feel that? Did you just take a deep breath? Yeah. This is big stuff. And it's necessary for us to live and thrive. Nobody else is going to do this stuff for us. That's because it's ours. It's our emotional world. It's our story. It's our right to plunge in there, feel into our guts, digest our truths, and have the courage to express it. Can you give yourself permission to feel your passion? Can you be so present in every moment that you overflow with trust in your creative energy? Dearest Erin, You're growing up too fast! Keep this book and make it all about you. Write your prayers and poems, draw your pictures, and write yourself some letters. Keep track of your life, Erin. Especially your youth. It goes by too fast. We love you. When I read her words, even at that young age, a sensation of a big THUD landed in my stomach, accompanied by a sudden awareness that my life was important. This was monumental because I was an overlooked child who lived in a dark situation. The journal became my healer. I became something by writing down my life. I, and whatever flickering moments I chose to write down, could linger in these pages for all of their days. Additionally, the moments that would leave lasting marks in my household climate could be processed. And so began a life-long obsession with documenting ... or presence. There was no television in my childhood home. There was no adult attention, except for the kind a child tries to avoid. So, I began to cherish my invisibility. I had my diaries, and I had paper and pencils and crayons. I wrote, and I colored or drew pictures, and I made books. Several years later, I would discover the camera as another outlet of self-expression and memorializing moments forever. After a short while this newfound passion for self-portraiture would take a new turn as I began to enhance the prints I made in the darkroom with nail polish, acetone, eyeliner, lipstick, sandpaper, tea, coffee, and fire. I was a fine art photography student, living in a sixth floor walk-up in NYC. I could barely afford food, definitely couldn't afford paint, and I used whatever I could find to mark up my photos in my first foray into mixed media art making. Around this same time I was exposed to a huge world of creative documenters like Anais Nin, Sylvia Plath, Dan Eldon, Walker Evans, Frida Kahlo, Francesca Woodman, Sally Mann, Robert Frank, Jack Kerouac and Neal Cassady. These incredible humans became some of my greatest heroes through my years because they too were filling their days with their own ways of documenting life. To this day, people who document are my favorite. They are present in their own passionate way with the nuances, layers, experiences, and complications of humanity. Throughout all of my days and a lifelong struggle with C-PTSD, documenting the moments that occur within me and around me have been a huge portal into presence. C-PTSD catapults me out of my body. One of the biggest leaps into healing has been the discovery of visual journaling, where I can pour my lifelong love of words and images together into book form. I know that presence is necessary in order to function in an authentic, productive, and beneficial way in this world. For me, being present with myself can sometimes only happen through picking up a pen and writing, mixed media art, or turning the camera on me or my world. In 2016, I compiled and published a visual memoir, The Underneath. Because of my years of obsessive documentation, I had a wealth of material in writing, photographs, and art. It was a daunting experience to mine the archives - let alone publish a book with zero knowledge or experience. I did it, though. Eventually, my obsession with documenting my own life turned outward. Now, I am passionate about documenting travel, the humans of history and my ancestors. My second book, The In Between, is a visual travel memoir documenting my journey through concentration camps, battlefields and more in Europe. It seems that documenting, and storytelling, have become my way of life. But, back to Lena, and her gift of my very first journal with its precious inscription. She passed away suddenly a few years ago. She left a massive hole in the world ... however, her gift to me all those years ago is the single-most influential experience of my life, because it is literally the foundation for all of my other passions. For me, she is the greatest hero of all. Erin and Lena, the year before lena's passing. If you haven't already joined us in the Facebook group, please do so now. What story or aspect of your world will you be exploring? Why are you passionate about it? Have you given yourself permission to feel this passion and explore it? If not: do you choose to give yourself permission now? 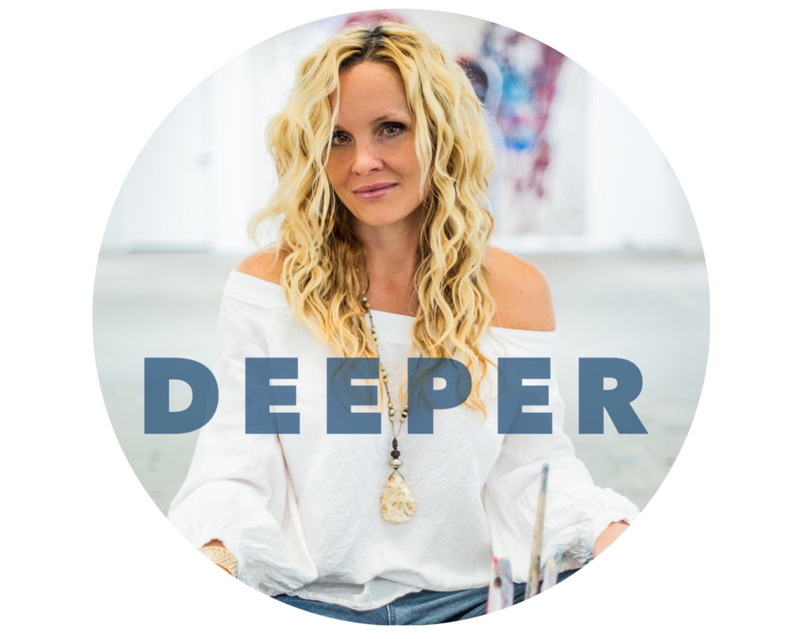 How can we support you, and encourage you to continuously deepen? Perhaps you can tell us what you hope to bring forward in yourself by participating in this class. And please share a photo or two of your creative work as well. We can't wait to meet you! Gather materials: imagery, documents, fabrics, papers ... anything that stimulates you, your passion, your story, or your theme. Begin to look through artist sketchbooks, diaries, and other ways of documenting. Google, YouTube, and Amazon searches will yield a plethora of options, or you can start with the names I've shared. Also, the photo below shows a few of my faves. Begin to take a few minutes daily to write down your feelings and experiences, take photos, and / or sketch your environments. If you are undertaking this workshop to tell the story / stories of your family, take time to write down questions you would like to ask them. If you can - ask! If they are deceased, write down the questions anyway ... you never know what could happen to bring you the answers! Choose to put your phone down - our phone screens really only show us other people's worlds, right? - and take in the world around you ... or your own self. A few of the books in my collection which exemplify a variety of documentation styles.